Item # 313882 Stash Points: 5,000 (?) This is the number of points you get in The Zumiez Stash for purchasing this item. Stash points are redeemable for exclusive rewards only available to Zumiez Stash members. To redeem your points check out the rewards catalog on thestash.zumiez.com. 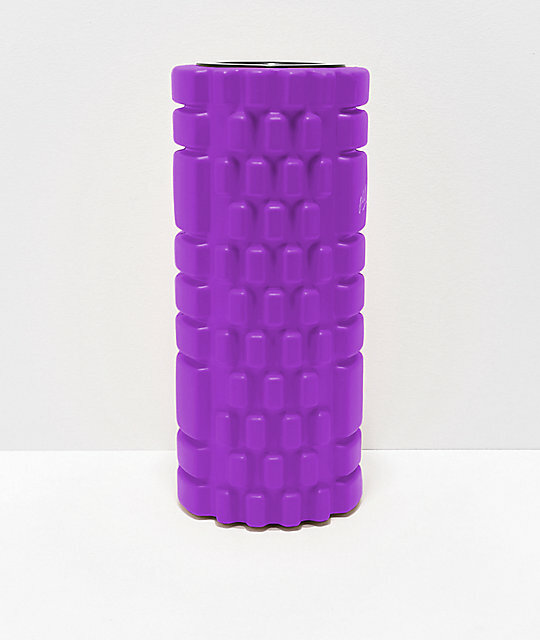 Just what the doctor ordered, grab the Old Friends Purple Physical Therapy Pack to get your body back on track. 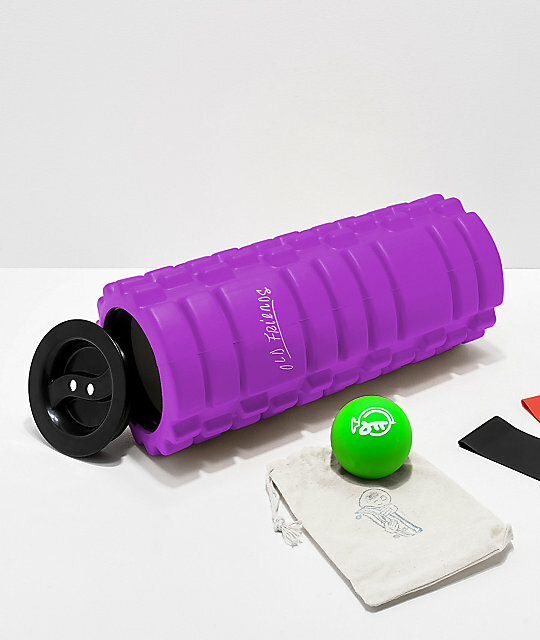 Coming with one large foam roller, one yoga ball and four large resistance bands, you can do anything from rolling out your sore legs, to getting those pesky knots out of your back. 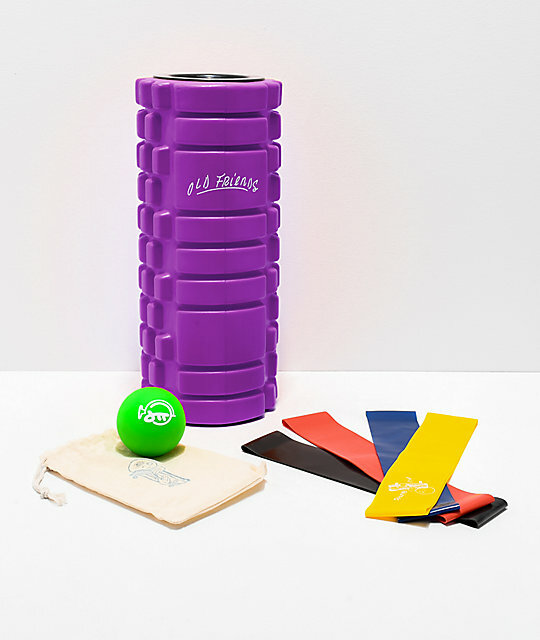 Included within the roller is a pamphlet of suggested exercises, stretches and activities to best utilize the items in the pack. Do yourself a solid, grab the Old Friends Purple Physical Therapy Pack. Purple Physical Therapy Pack from Old Friends.